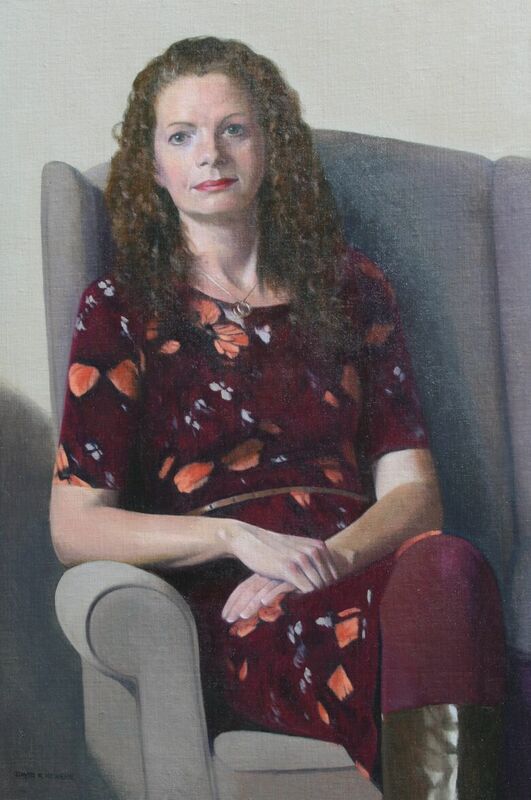 This portrait painting was painted in my Milton Keynes studio under full spectrum lighting, providing a consistent, cool light. Louise worked at a butterfly centre, hence the relevance of the dress with the butterfly pattern. Unfortunately, the centre has now closed.